Turkish President Recep Tayyip Erdoğan’s self-reported net worth has been published in his submission to the Official Gazette, Russian news site Sputnik said. Erdoğan has 6,347,760 liras ($1,374,000) in cash in the bank and a 4 million lira residence in Istanbul’s Üsküdar, according to the submission. He owes 2 million lira to businessman Mehmet Gür, it added. Gür, a childhood friend of Erdoğan is the chairman of Ortadoğu Group, a construction and logistics firm and the business partner of some other members of the Erdoğan family. 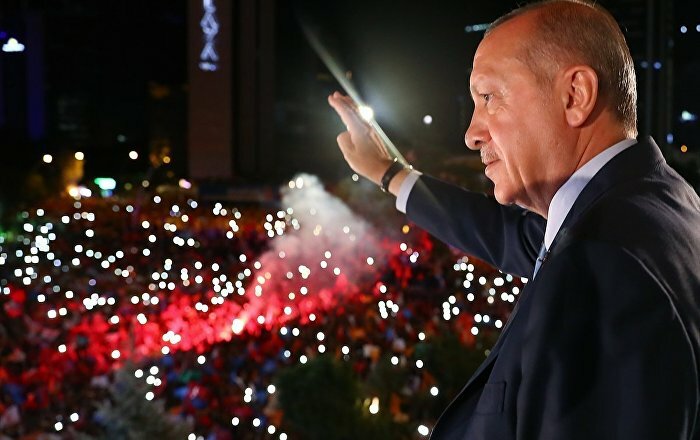 The filing represents a significant increase on Erdoğan’s wealth declaration as head of the Justice and Development Party (AKP) in 2001, Sputnik said. Resmi Gazete'de kesin seçim sonuçlarıyla birlikte Cumhurbaşkanı Tayyip Erdoğan'ın mal varlığı da yayınlandı. Buna göre, Erdoğan'ın 6 milyon 347 bin lira nakit parası var.